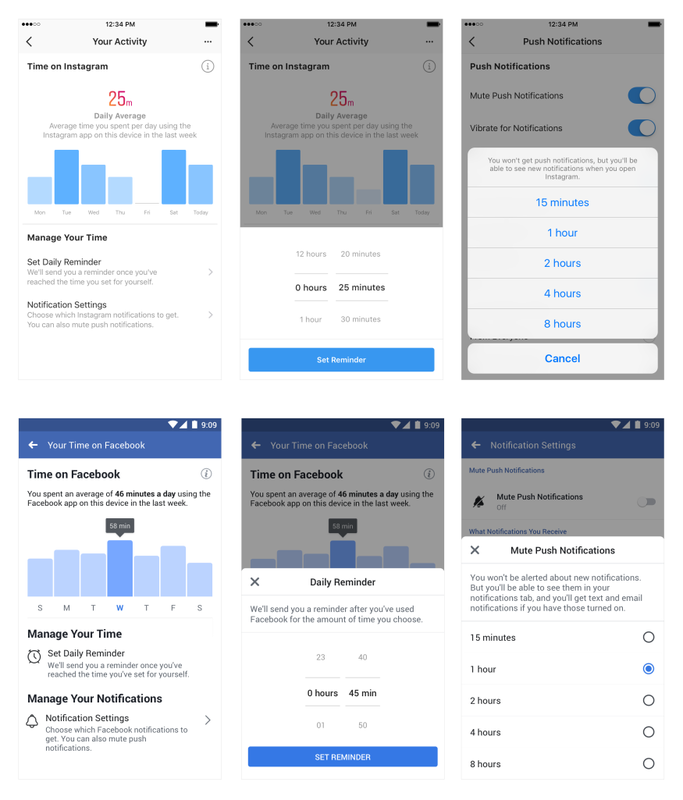 Facebook is now trying to help its users restrict their time spent on social media using new features developed in association with mental health experts and organizations. With this upcoming tool (whose launching date has not yet been announced) one would be able to see the number of minutes he/she has spent online. While to an average user his/her time on social media may seem ridiculously small, it may not be that way. Checking your social media every hour or so accumulates minutes on to the promised counter, giving you the average of minutes spent, at the end of each day. With this, the platform hopes to show its users of the time they might be wasting, and help them tackle their addictions. Once a person decides to reduce his/her online activity, he/she may choose to go to the settings of Facebook or Instagram to set a timer, reminding you to turn off the application, once the time is up. Apparently, the platform is not trying to reduce its number of active users; but instead, making genuine efforts to make their lives more productive than watching random celebrity vacation photos.